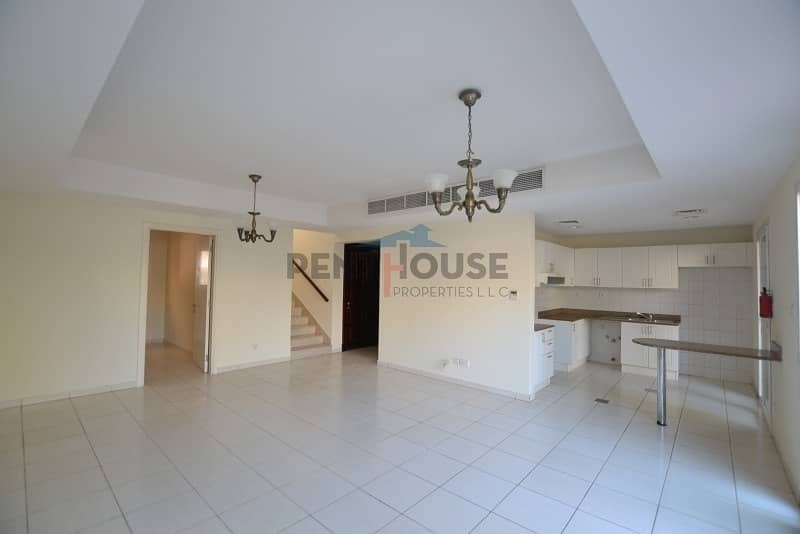 Immaculate 3 bedroom + study villa in a top location within the project located bang opposite a large park and pool. Excellent living and dining space with a study room and a kitchen on the ground floor and all 3 bedrooms on the first floor with the master bedroom over looking the garden, private garage and much more. This beautiful 3 bedroom, Study Villa is located on approx 2,850 Sq ft down a quiet country road with a surrounding front and back yard including a back deck perfect for BBQs and a nice garden in front. This cozy home is opposite the Pool and Park and all bedrooms are good-sized along with the kitchen completing it to be a Gorgeous house to live in. Vacant & ready to move in. Rent AED 125,000/- cheques negotiable. Actual pictures of the villa.